In the early 1920s Concord Council provided a netted area along the Parramatta River at the northern end of Cabarita Park for swimmers. 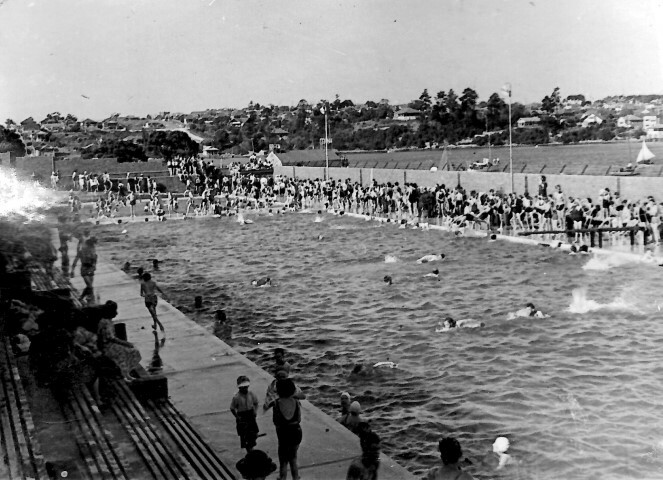 It’s popularity prompted Council to embark on an ambitious project to build a swimming pool for the community during the Depression years of the 1930s. Plans were drawn up by Alderman John Dalzell Wallace, a key supporter of the project, and Council’s engineer. 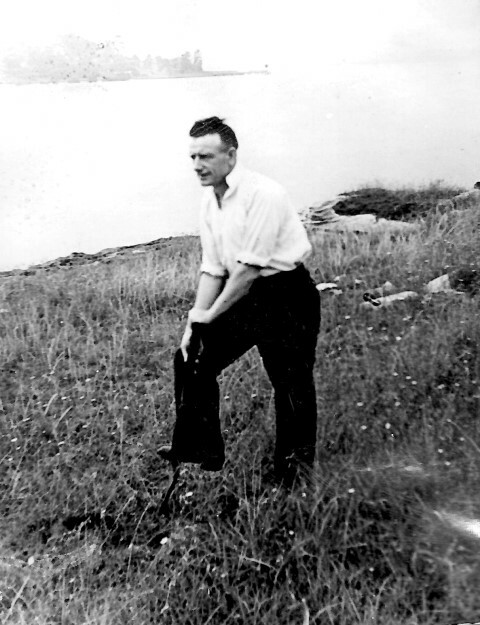 Alderman Wallace turned the sod to begin the construction of the pool in March 1937 (shown below). With a grant of £1000 for the purchase of tools and materials from the State Government, work on the pool progressed quickly to make it ready by the following summer. On 27 November 1937 the Concord-Cabarita Coronation Baths were officially opened by The Hon. H. P. Fitzsimons MLA (Minister for Health). Some 3000 people turned up on the day the pool was opened. To mark the opening there was a 200 yard race between several top swimmers. The race was won by Olympian Moss Christie. On the following day, a Sunday, 2000 people paid to swim in the new baths. Adults were charged three pence while children could enter for one penny. Within a month over 30,000 people had tried out Concord’s latest attraction. Now known as the Cabarita Swimming Centre, eighty years on the pool still plays an important part in the lives of local people. Posted on November 7, 2017, in Cabarita and tagged Cabarita, Cabarita Baths, City of Canada Bay, Concord-Cabarita Coronation Baths, swimming. Bookmark the permalink. Leave a comment.